We're less than a week away from the release of Cyanide Studio's Space Hulk: Tactics, and the developer and publisher (Focus Home Interactive) have released the mission editor for anyone who has pre-ordered the title via Steam. If Space Hulk: Tactics sounds familiar, it's likely because the video game is based off of the board game titled Space Hulk. 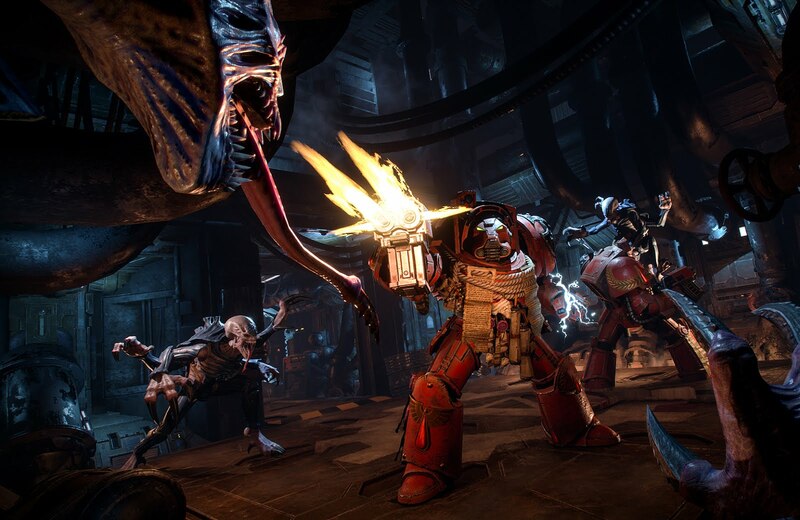 Space Hulk is set in the Warhammer 40K universe, and pits players against each other (or computer-generated enemies) as a team of Terminator Space Marines or Genestealers. Buttons are available to make elements of the Mission Creator quick to do, such as changing the looks/layout, adding logic, and linking elements. You can delve even deeper, creating custom squads and swarms, unique rulesets, and more. You don't even need to leave the creator to test your mission. Once you're happy with the mission, you can upload it and share with other users, where they can be found easily in-game. Space Hulk: Tactics will be released on Monday, October 8 for PC via Steam, PlayStation 4, and Xbox One.